How about having some kind of rating system for the files that the users have contributed? 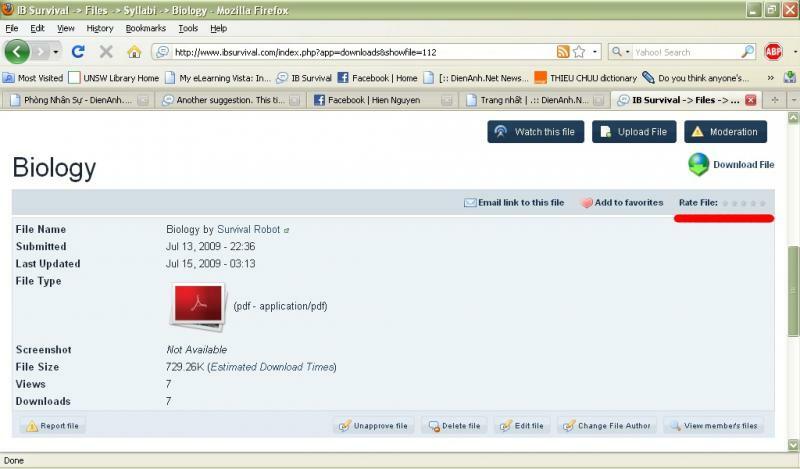 Therefore, the people that have downloaded the files can rate how useful they found it. It could be on a scale of one to five or one to ten. It doesn't matter really. It just has to be easily noticeable, easily understood and easy to use. There already is such a thing. Well, then I think it needs to be made more conspicuous because I never noticed it! Can you get it more visible than this? Though I think the layout of the files page is still going to change. Graeme is due to redesign it, eventually.